The weather has taken a turn and we are seeing temperatures hitting up to 29 degrees this week – can you believe we had snow a month ago! This means it’s time to talk hydration. 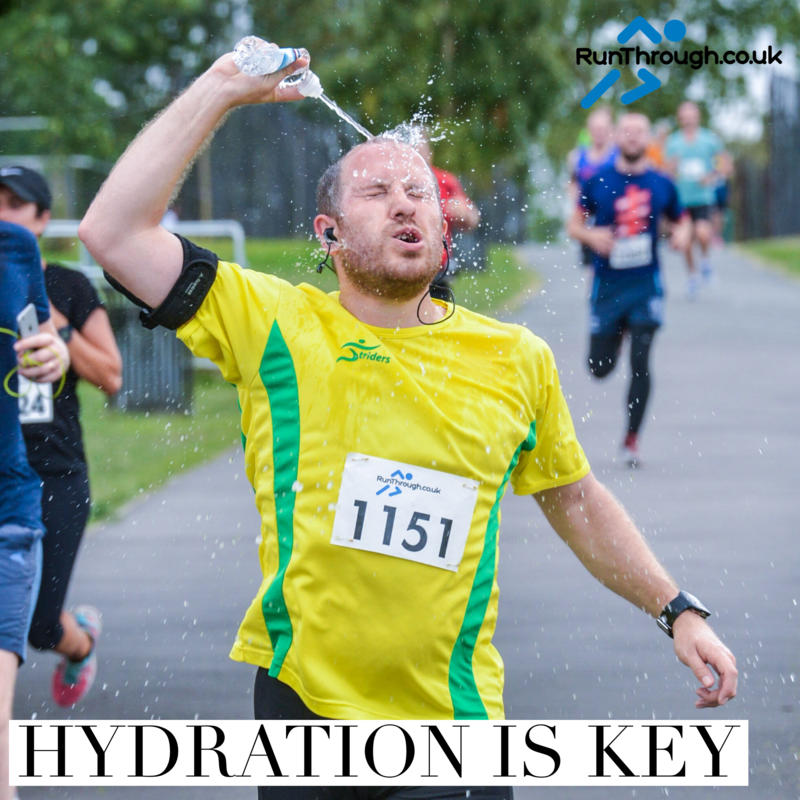 Whether you are running a 10k around your local park or taking on the London Marathon this weekend, you need to reassess your fluid intake this week and remember the further you run, the more important it is to drink. Water makes up 60 per cent of your total body weight and we all know that running means sweating and sweating means water loss. Therefore when the weather is hot as it has been these past few days you will need to drink double, perhaps triple, what you would on a regular run. Your body keeps cool by sweating, which makes the replacement of fluids crucial. 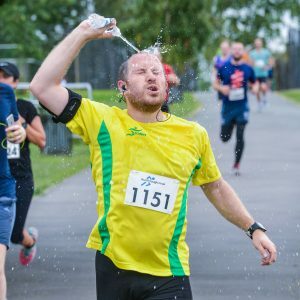 Current guidelines recommend drinking anything from 300ml to 800ml of fluids per hour and look to consume 200 to 300 calories an hour when running. Keep hydration simple… Drink when you need it, even if it means you have to slow down! On race morning, drink just enough to satisfy your thirst and don’t drink anything in the last 45 minutes before the race starts. Avoid dramatically over-drinking, it is certainly not necessary or beneficial to go crazy with the drinking over and above what your body is telling you that you need. Sipping water is better than taking large volumes in one go! Don’t risk finding out the hard way that your stomach can’t tolerate certain drinks by trying something new on the big day. Stick with what you know and what you have already tried and tested. The last thing you need is to begin to get a queasy, sloshy feeling in your stomach when drinking unnecessarily. Just because you pass a water station and everyone is telling you to stay hydrated, listen to your body and only take it if you need it. Slow right down and take on fluids, gels or anything on offer at the aid stations. The key is to keep going slowly until you feel the energy boost from the food or gels. Sometimes this can take up to half an hour, however do not then repeat your mistake by going too hard. Start a little more conservatively and gradually increase the pace. Good luck everyone and take care out there! !